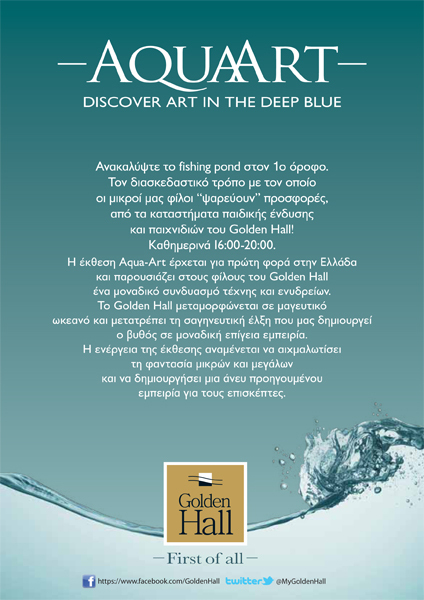 The Golden Hall organizes from the 14th until the 28th of January an event that combines art with fun and playing: Aqua Art, turning the first floor of the mall into a big ocean. 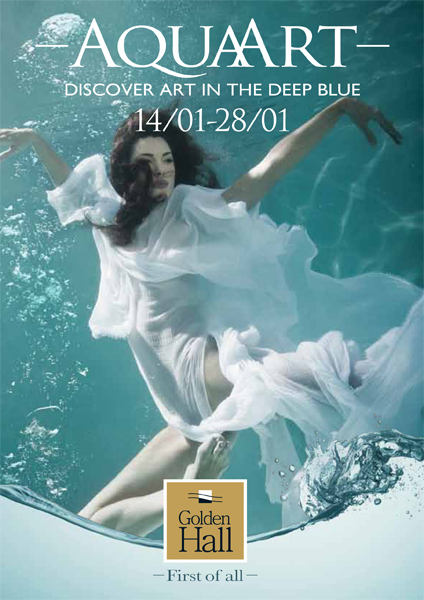 There will be tanks located in various sizes and shapes, created by an artistic standpoint, taking you directly to the bottom of the ocean and its beauty. For the little guests there will be an unique fishing experience. A pool with "fish" will invite them to "fish out" a gift, every day from 4 to 8 in the afternoon.